Visit the stations below to learn more about the project and to let us know if the design is on the right track! This site will be available until May 1, 2019. 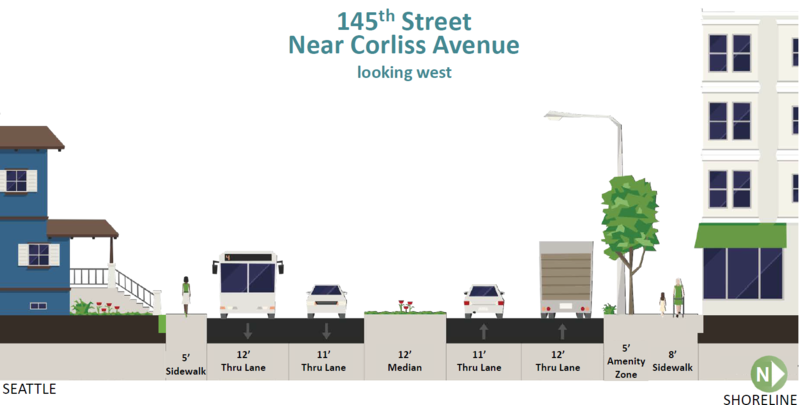 Scroll down or use the tabs listed at the top of this page to learn more about the 145th Street Multimodal Corridor Project. 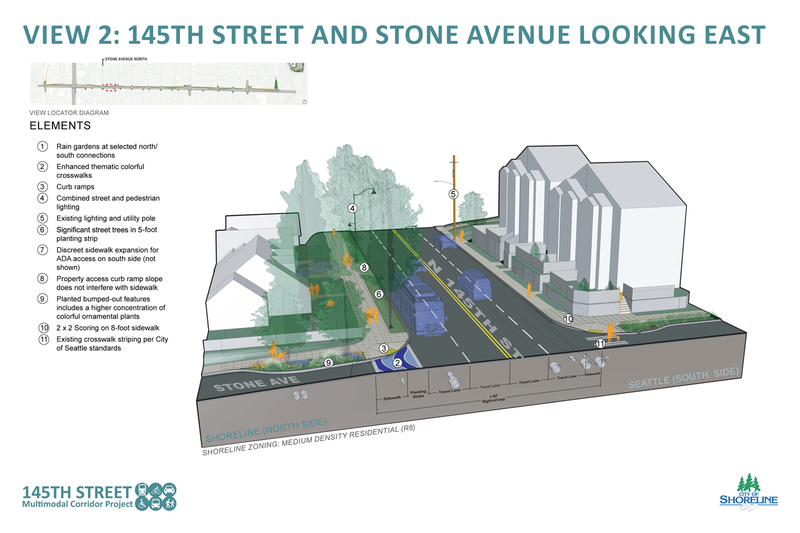 If you would like to read more about past work and other projects happening on 145th Street before you get started, visit our website. 145th Street is a major connector for northwest King County. The road connects Shoreline’s neighborhoods with the region’s businesses, parks, and services, as well as linking the cities of Seattle, Lake Forest Park, Kenmore, and Bothell. In the coming years, the corridor will need to support even more travelers when Sound Transit’s new Shoreline South/145th Street light rail station opens. 145th Street will become the region’s primary east-west connection to this important station. 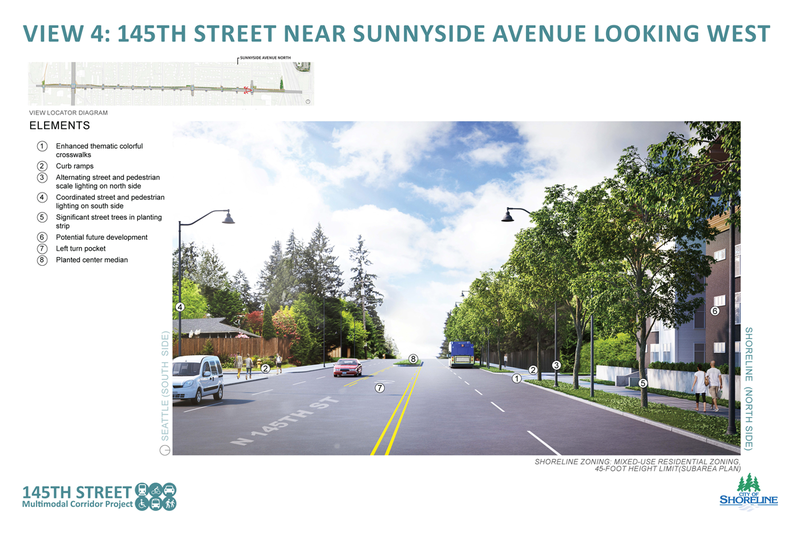 Shoreline has heard from residents and stakeholders for several years that 145th Street needs to be improved. 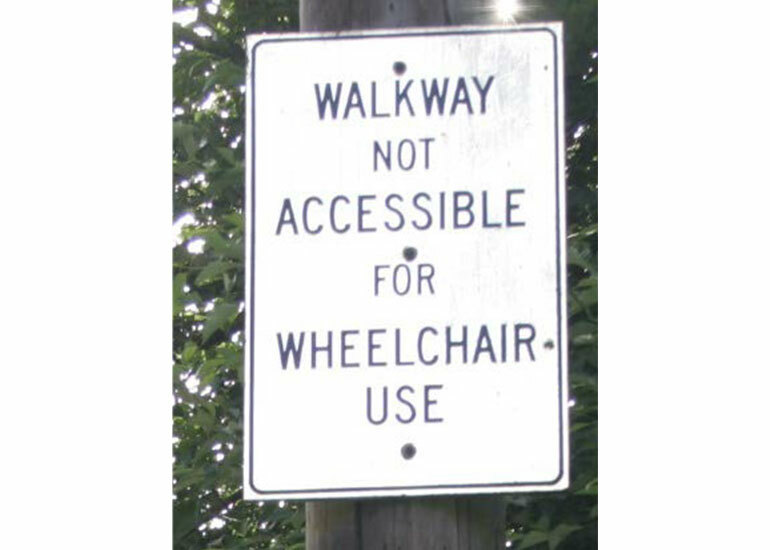 The primary concerns the community has shared include safety, congestion, narrow sidewalks, lack of bike connections, and limited transit service. The project will aim to ensure that everyone can walk, bike, bus, access transit, and drive safely and reliably along and across the corridor. 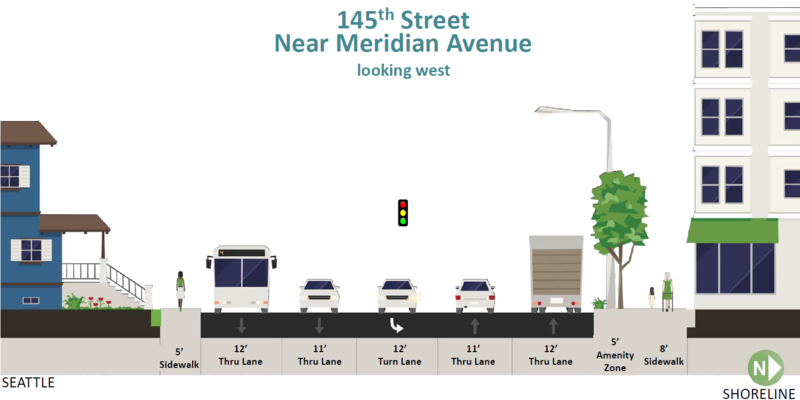 Existing conditions along 145th Street show the need for improvements that support safe and efficient travel for pedestrians, cars, bikes, and transit. 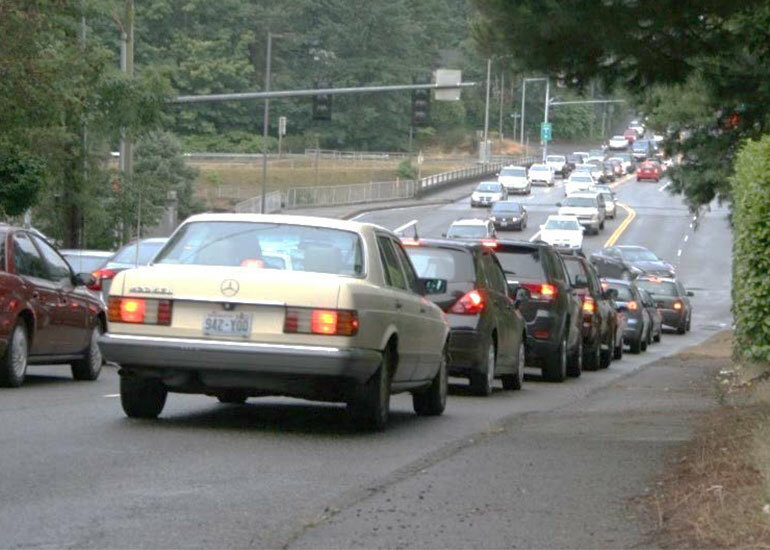 The roadway is shared by both Shoreline and Seattle, though WSDOT, Sound Transit, and King County Metro play big roles in the future of the corridor. 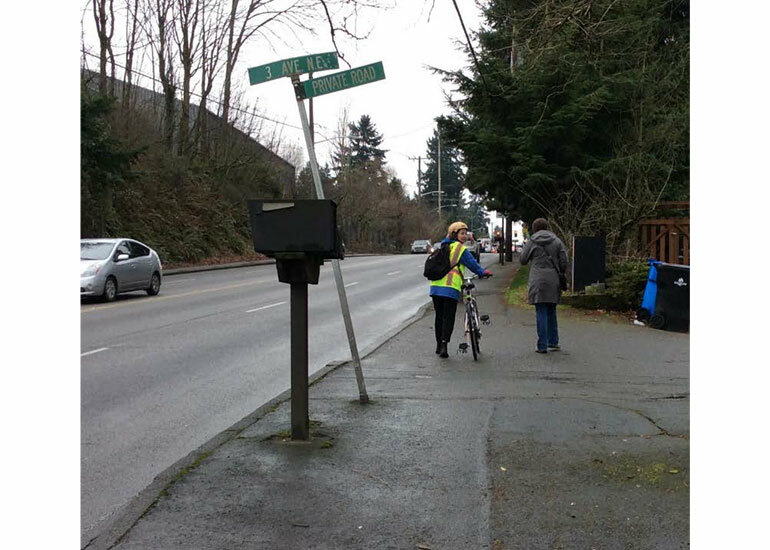 During the 145th Multimodal Corridor Study, we also worked closely with neighborhood stakeholders as part of a Citizen's Advisory Task Force. 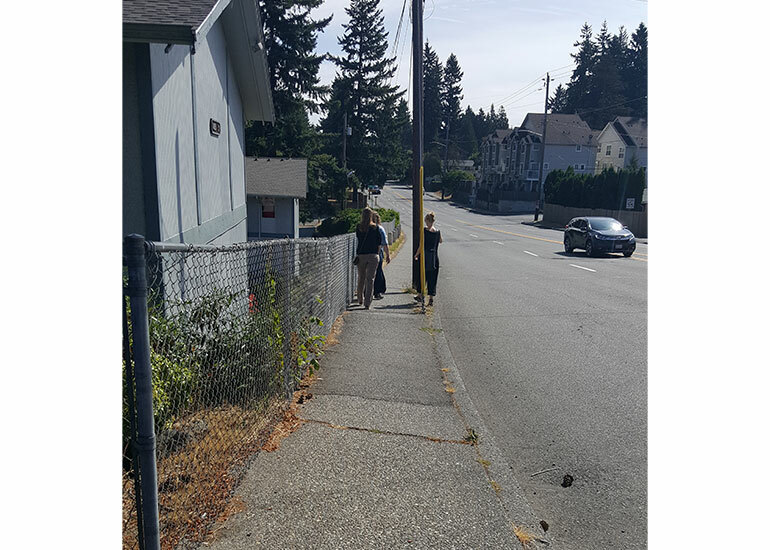 The complex nature of 145th Street means that we’re coordinating with nearby cities and agencies, including WSDOT, City of Seattle, King County, Sound Transit, and the Puget Sound Regional Council to ensure that the future corridor works for everyone. What work have we already completed? 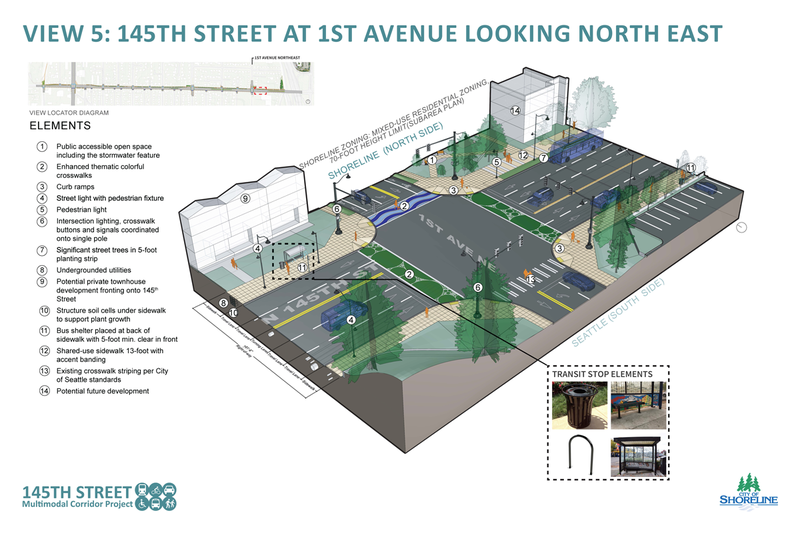 To determine how to best improve all of 145th Street between 3rd Avenue N to Lake City Way. 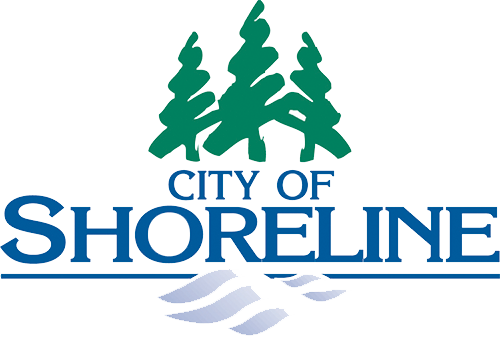 After a year-long process that included lots of great community input, Shoreline City Council approved the preferred concept in April 2016. For more information, visit the study webpage! We anticipate that 145th Street Corridor improvements will be built in phases, as project funding becomes available and is secured. 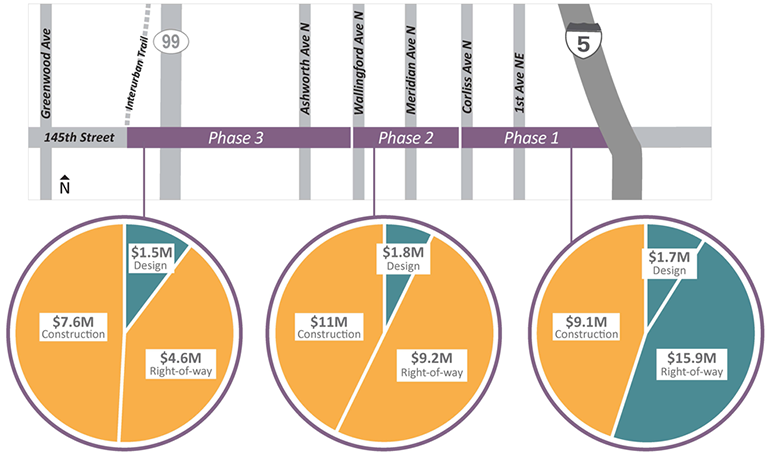 Work will start in the east, closest to I-5, and move west towards Aurora Avenue North. 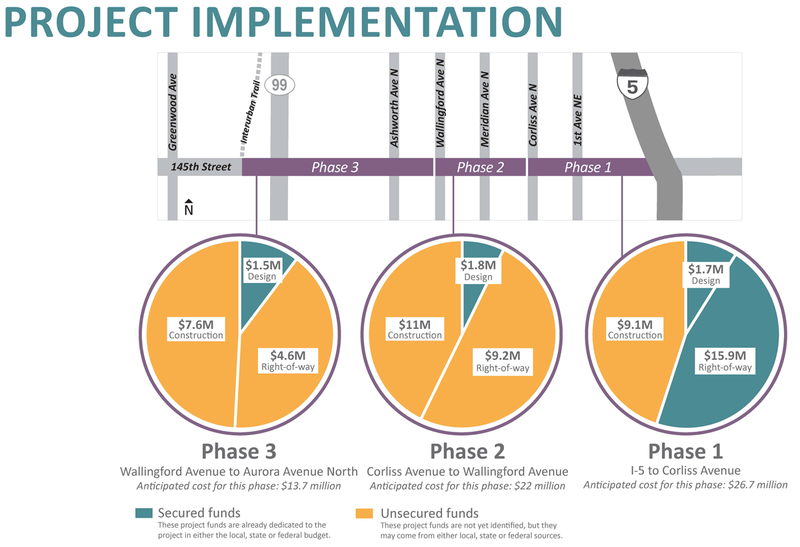 Construction of Phase 1 is currently anticipated to begin in early 2021, followed by construction of Phase 2 beginning in early 2023, pending funding. Construction of Phase 3 will be determined at a future date as funding becomes available. What else is happening on the Corridor? For more information, visit the project webpage! For more information, visit Sound Transit's project webpage! Following confirmation of the preferred design concept for the 145th Street Corridor, our team has been hard at work turning this community-supported vision into a reality. Click through the images below to see how the overall design is shaping up. 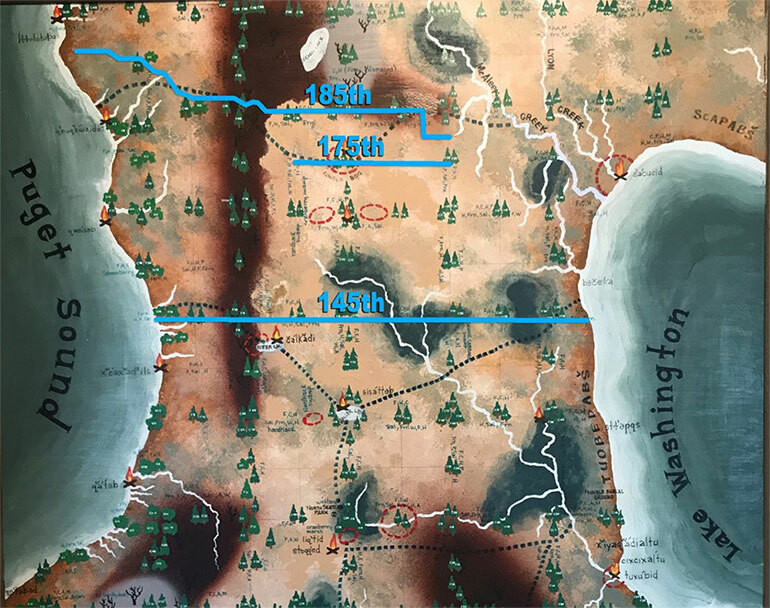 Click on an image to make it larger. 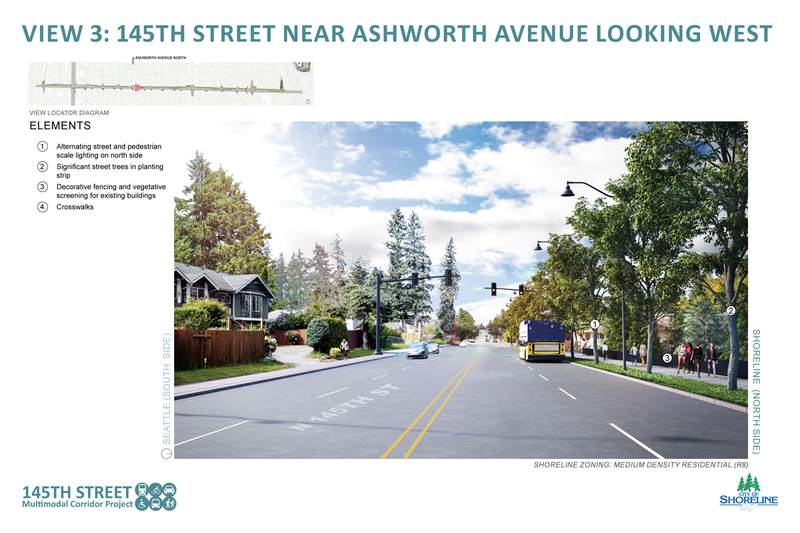 The new 145th Street Corridor will include several different design elements to help us achieve the project goals and make the roadway safer and more accessible. Click on the boxes below to see our ideas for incorporating the different design elements. After you’ve reviewed them, visit the feedback section at the bottom of the page to share your thoughts and let us know if we’re on the right track! 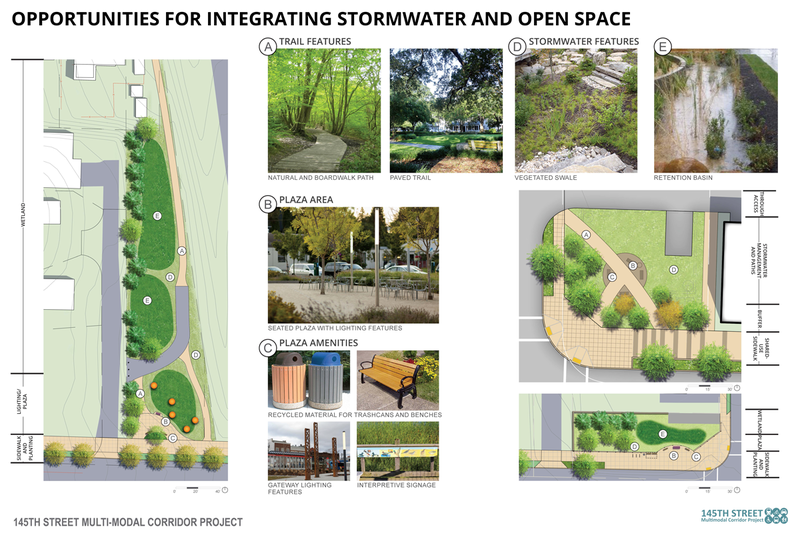 Examples of stormwater management design and open space elements along the corridor. 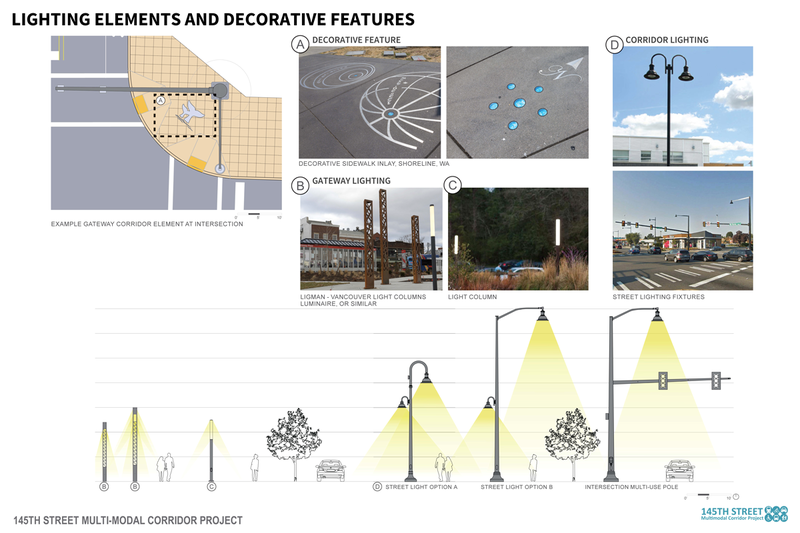 Examples of possible gateway and lighting design elements. 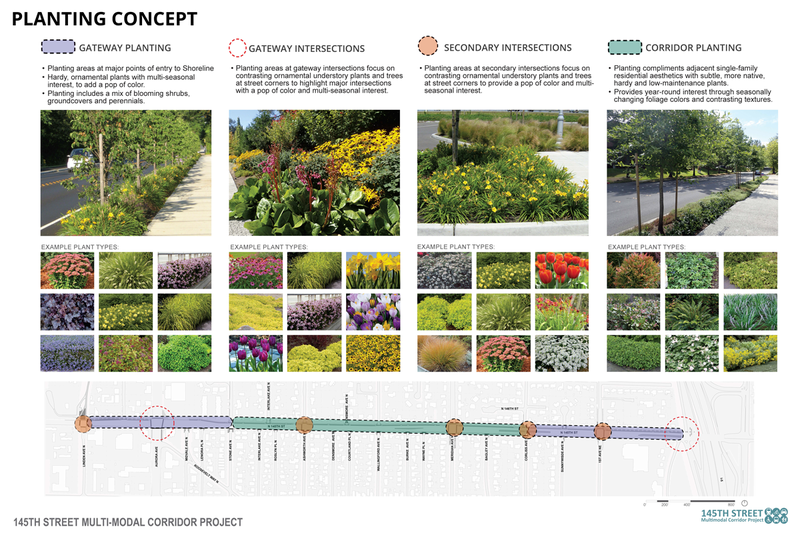 Examples of plants that may be planted at the gateway, along the corridor and at different intersections. Comments on the design will be accepted until May 1. Thank you for visiting! 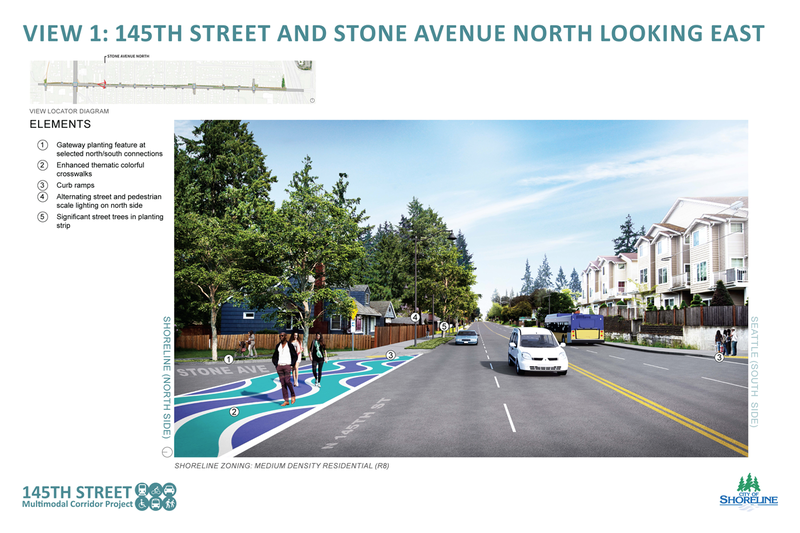 Shoreline will consider the ideas that you shared as we continue to design the 145th Street Corridor between Aurora Ave N and I-5. We anticipate coming back later in 2019 to share the final design and let you know how we incorporated your thoughts.